"This book could be the best investment you've ever made"
We're proud to say that these were the words Lawrence Gosling, Founding Editor of Investment Week used to describe Stephen’s latest bestselling book, How to Make Money in ISAs and SIPPs. 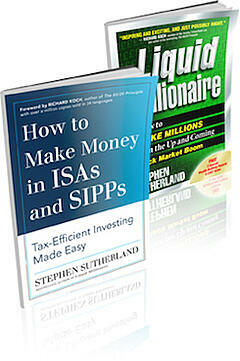 The good news is that we are currently offering the paperback version of How to Make Money in ISAs and SIPPs (RRP £9.95) and a paperback copy of Stephen’s bestselling classic, Liquid Millionaire (RRP £19.95) – for just £0.99! How to Make Money in ISAs and SIPPs is the first book of its kind to focus on how to secure a richer retirement using the UK's two top tax shelters; ISAs and SIPPs. It’s the ultimate guide for ‘affluent’ DIY investors approaching retirement or in retirement looking to beat the market and achieve better returns. Inside, you will learn how ISAs and SIPPs can boost your returns, create a tax-free income for life and help to reduce the risk of running out of money during retirement. The book has had a great start. It's only been available since 25th March 2014 and already it's had 59 Amazon reviews posted - and 53 are 5 stars! 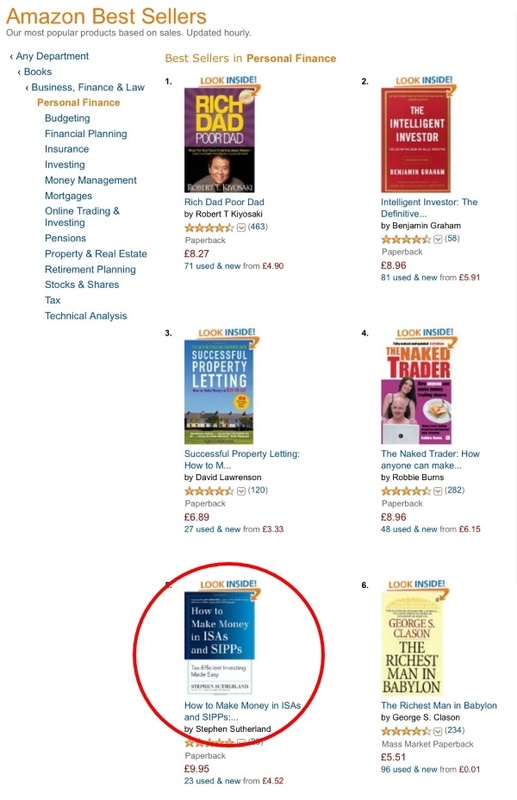 And recently it was in the number 5 spot of Amazon ‘Personal Finance’ bestsellers! If you buy today, you'll get Stephen’s latest release, How to Make Money in ISAs and SIPPs (paperback – RRP £9.95) plus a copy of his bestselling classic Liquid Millionaire (paperback – RRP £19.95) for the low price of just 99p!